By the time nations once again get round a table in Paris in December to discuss climate change, hunger should be on the menu. 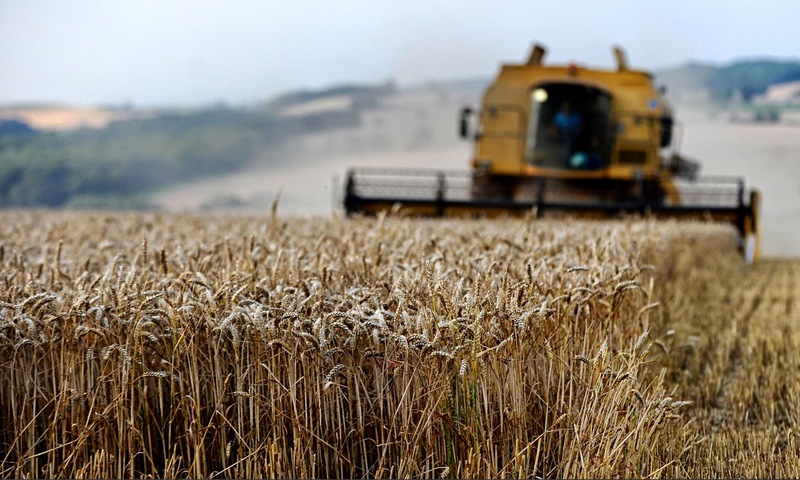 Researchers have just warned that a new and aggressive strain of yellow rust fungus is now a threat to Britain’s wheat harvest. Another team has calculated that average yields of wheat per field, which only two decades ago were rising rapidly, are now down 2.5%, and barley by 3.8%. In each case, the scientists identify climate change as a contributing factor. Global warming has barely begun but climate scientists have been warning about the consequences for food security for 30 years. The two latest bits of research into wheat yields are not isolated indicators of tomorrow’s troubles. The big heat has yet to arrive. It will be catastrophic. Another group has studied the consequences for harvests of extremes of heat and calculated that for each 1C notch in the thermometer, global wheat yields could fall by 6%. Some latitudes will benefit, but overall, world harvests could fall. This is very bad news: wheat is one of the world’s staples, and the world’s largest source of vegetable protein. There are other factors at play in the fields. Within a decade, 2.9 billion people in 48 nations will experience chronic water scarcity, another research team warns.